So are you all geared up for this Eid? After the month long fasting, are you ready with the most gorgeous sharara for the big day? Oh! And not to forget makeup. Remember your makeup too should be nothing short of exuberant to go in perfect tandem with the mood of the festival. So today we have got you 5 makeup tips for an ultimate festive look this Eid. 1. 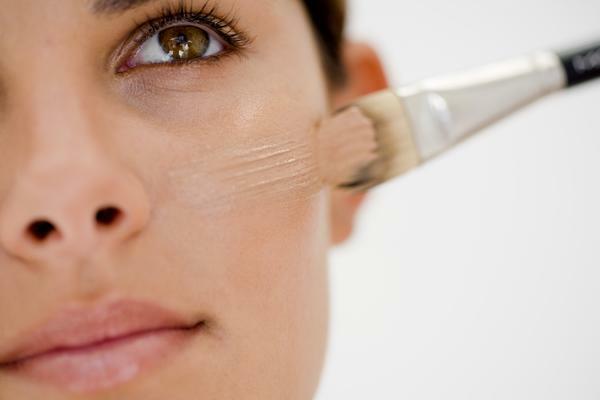 First and foremost, use a concealer to take care of any dark circles, marks and blemishes on your face. Next up, dab on a thin veil of foundation. But don’t go overboard and avoid piling up layers of it on your face. Make use of a liquid highlighter to illuminate the high points on your face like the cheekbones, bridge of the nose and cupid’s bow and to give you that soft, dewy complexion. 2. 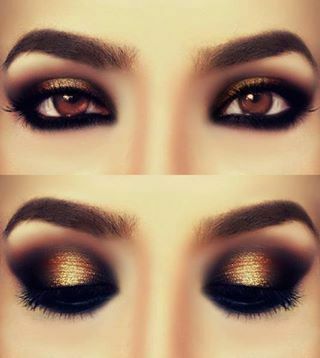 Make your eyes pop by going for a metallic gold eye shadow. Most Asian women are blessed with black eyes and metallic golds work like magic on black eyes. Being high shine and brilliant, it helps illuminate your dark eyes, making them look sultry and giving your face a warm glow. Besides it goes in perfect harmony with the mood of the festival. Top it up with glitter accents for that ultimate festive look. 3. It’s now time for the magic wand called kajal to come into play. Kajal alone is capable of making the most unflattering eyes look gorgeous. So apply a water proof version of it on your lower lash line and smudge it with a Q tip for a dreamy look. A coat or two of mascara will only add on to the look. I would recommend skipping the eyeliner all together and sticking to a softer look for the eyes. 4. Rose flushed cheeks are an absolute must for this festive look. So swipe some blush in shades of peach or pink on the apple of your cheeks, making a swift upward movement towards the temple. 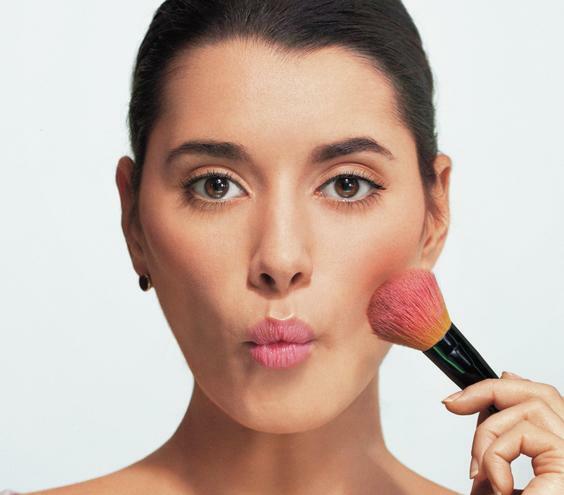 It will not only add warmth to your face, but also help with contouring. 5. Next up is my favorite, red pout. It’s classic, timeless and instantly glams up the whole look. Go for a red lipstick which has tones of orange. It works perfectly for women with warm undertones and darker skin tones and looks best with gold jewelry. So follow these simple tips and you’re all set to dazzle this Eid. Jazz up your spirits, savor the meethi sevaiyyan and simply make merry. Here’s wishing you all ‘Eid Mubarak’.